Depending on where you live, you may see the need for winter tires during the winter months. Knowing whether or not you truly need to invest in winter tires is a good thing. Most cars come straight from the factory with all season tires, which are standard. In some climates that face harsh winter conditions, winter tires may be a necessity, but there are a few things to consider before deciding whether or not to purchase them. All season tires are a standard tire chose for most vehicles, and are placed on the vehicle before it leaves the factory. Just because the name of the tire suggests that it is suitable for driving in all types of weather conditions, doesn't mean it's necessarily ideal. All season tires are best for drivers who don't typically experience or encounter a lot of snow and ice on a regular basis during the cold winter months, and even perhaps the early spring. It's true that all season tires are meant to offer the driver a combination of some of the features of summer and winter tires, but it isn't always a safe choice for all vehicles in all climates, all year long. Areas that see little to no snow and ice are a great match for all season tires. 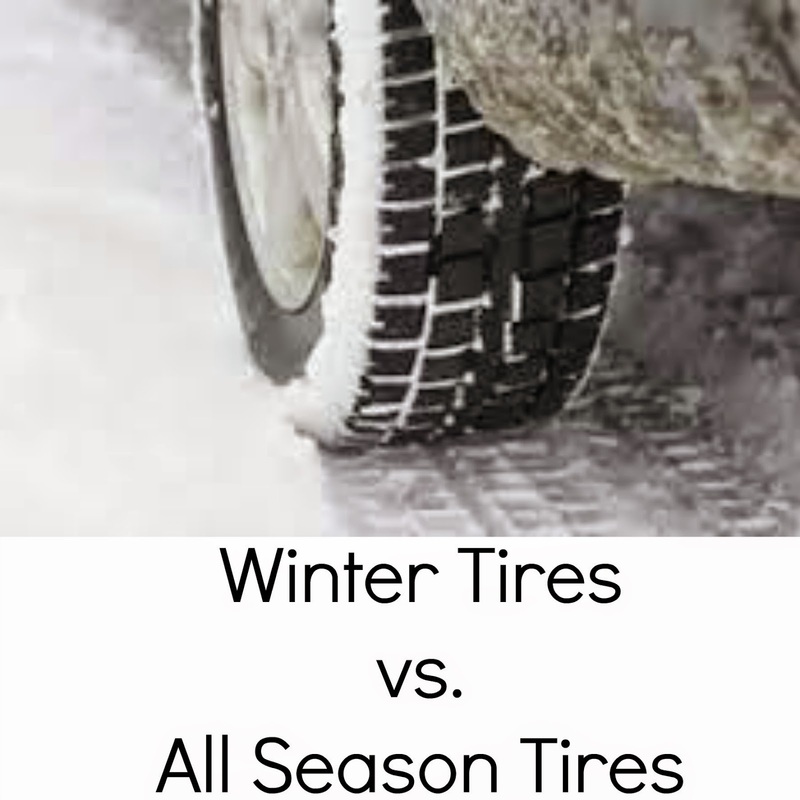 The tread on all season tires isn't designed to handle the snowy or icy conditions that are often seen by many motorists during the winter, nor are they capable of gripping the same way summer tires do. If you live or drive in areas that see harsh conditions such as snow and ice or extreme rain, you may want to consider an alternative. No one can predict what road conditions might be like during the winter, and drivers may be caught having to face anything from sleet and snow to black ice. Winter tires offer drivers better protection when having to face the elements. Deep Tread and Unique Patterns- These two things help the snow compact, and help to steer excess water or slush from the tires while driving. Winter tires also have what are called biting edges, which are little slits in the tire tread, which help to provide better traction when driving in harsh conditions. The tread rubber on a winter tire is different than that of an all season tire. All season tires can become stiff, which will provide less traction while driving, while winter tires are more flexible, making them able to better grip the road, even in hazardous conditions. If you do plan on purchasing winter tires, it's best to buy an entire set, rather than just replacing the front or back tires. Some may think that by replacing the front tires only, that it will keep them safe enough. It's always better to keep all four of your tires the same at all times. Doing so will give you the best traction, and you'll also be better able to tell how many miles you've put on a complete set of tires. It's also a good idea to consider purchasing an additional set of wheels, so you can simply change the wheel out, or have your auto shop or mechanic change the wheels out, rather than changing just the tires out. Making the decision to go with winter tires during the winter months is a smart idea if you see a lot of snowy or icy conditions. Be sure to do your research and to ask for recommendations on brands from people you can trust, before making your purchase. This post brought to you by Earnhardt Gilbert Dodge.